Yes, I'm back after my trip to India, and happy to be home. I had lovely spring weather to welcome me back and provide a soft landing after leaving the intense heat of India. Autumn used to be my favourite season but since moving to Istria almost four years ago, spring is my favourite time of year. Why? Because in South India where I spent close to seven years, the weather was summer-like all the time and apart from the monsoon season, the seasons were not as marked as in northern climes. 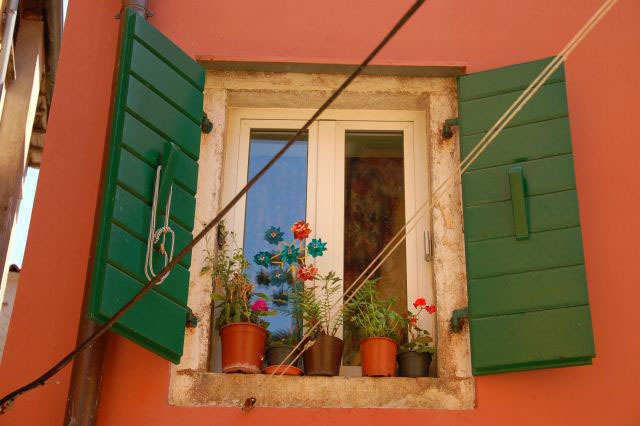 After spending my first winter in Istria, the arrival of spring was so welcome and so sweet: there's nothing like that first spring day when you can go outside without a coat, and sit in the sun and feel its rays warming your face. Everything is lush and green. Spring is when trees sprout new leaves and flowers bloom, so greenery is everywhere. 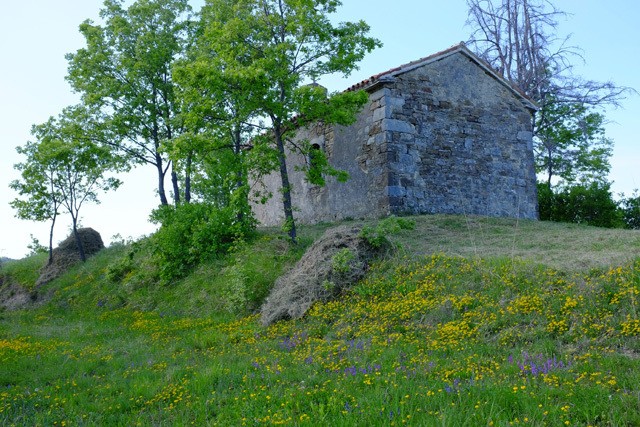 But when Istria's spectacular landscapes are painted a brilliant spring green, it seems like the most beautiful place in the world. Asparagus. A sure sign of spring is the wild asparagus that shoots out of the ground in Istria's forests. There's nothing like the taste of fresh asparagus and its burst of anti-oxidants. One of the first things I did was scavenge for wild asparagus in the forest on the edge of the village. 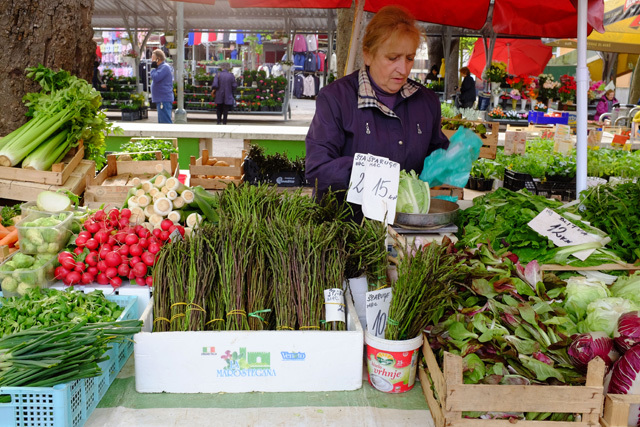 And in Pula's market, I saw thick bunches of beautiful purple and green shoots on sale for next to nothing. Outdoor cafes. 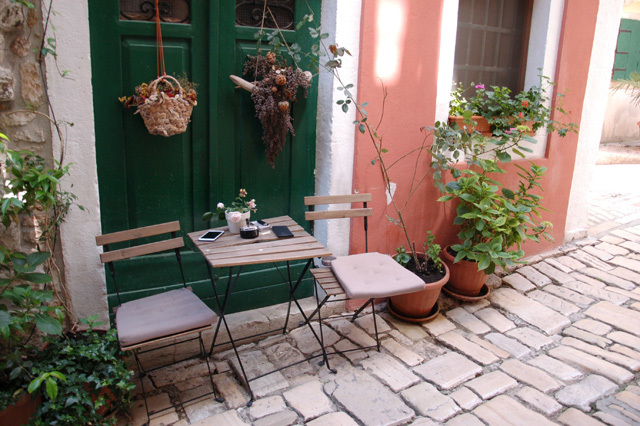 There's nothing like the first day you can finally sit outside and enjoy a coffee or even a meal in the sun and fresh air. In spring, cafes and restaurants open their terraces and patios, and as soon as the sun comes out, they're crowded with people enjoying the good weather. Fewer crowds. Spring is when tourists start to show up. 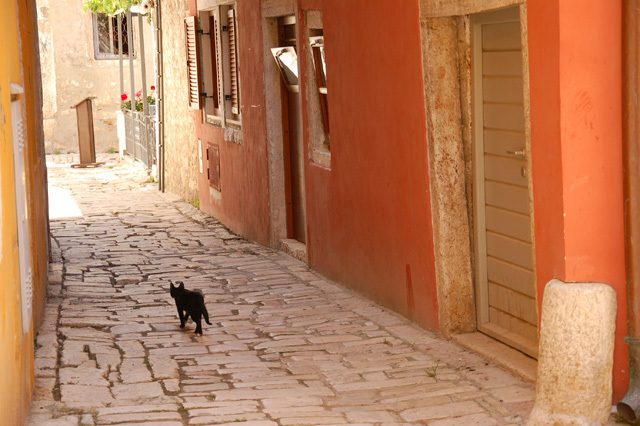 Sometime around Easter I spot new faces wandering around the village, and foreign cars on the roads. But the usual tourist spots are far from crowded and this is when I like to explore them: when they're almost empty and before the mad rush of July and August. Flower markets. Spring is all about flowers and planting. People are busy in their fields planting vegetables: onions, lettuce, and spinach are the first to appear, and very quickly there are strawberries and cherries to pick. 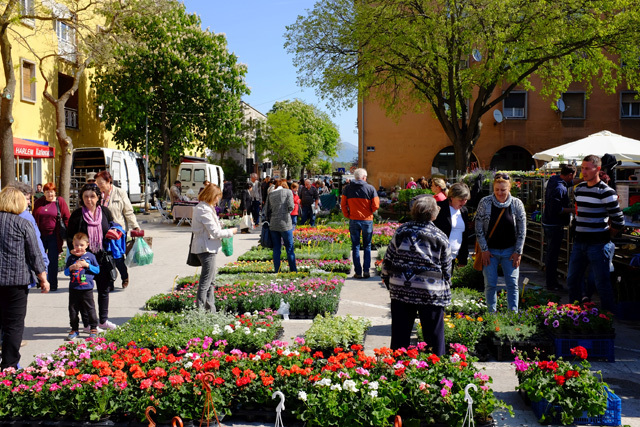 People also love to decorate their homes and gardens with flowers and plants, and flower markets pop up in every town. Lovely post. I like the colors and the flowers.